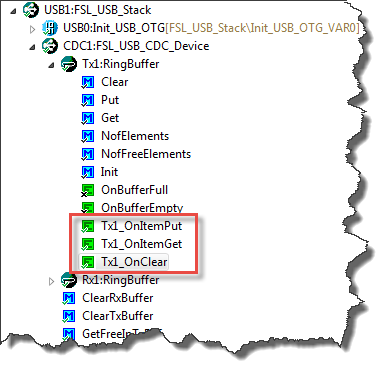 USB CDC: property to specify USB device current usage, new status getter functions. In “Overview: From Snippets to Code Generation” I discussed several tools used in my development process. 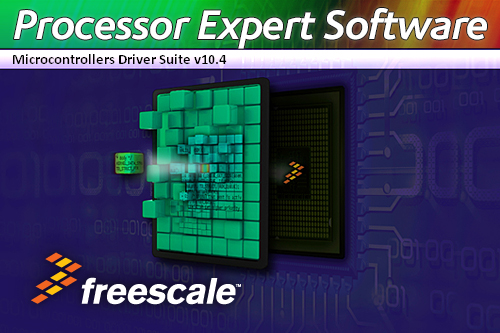 On tool which helps me a lot to get things done is Processor Expert. In this post I’ll give an overview about this tool and reasoning for the pros and cons of using it. 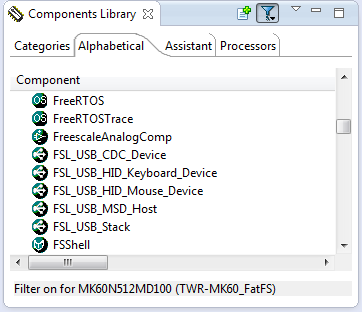 FreeRTOS updated to version V8.2.2 which comes with TLS (Thread Local Storage) support and GDB debug helpers. 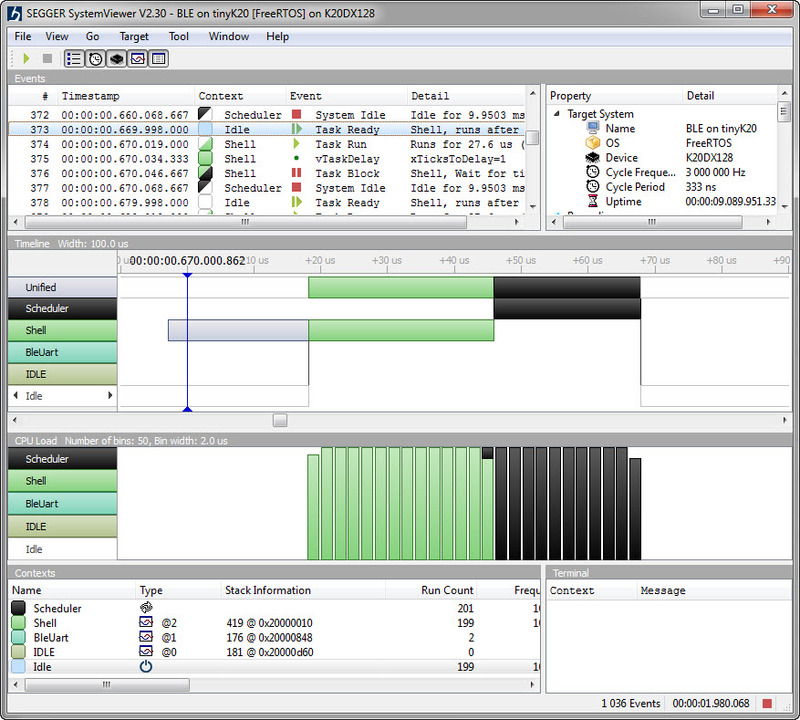 Percepio Trace updated to V3.0.2 with the release of Segger Real Time Terminal (RTT) for continuous trace streaming. 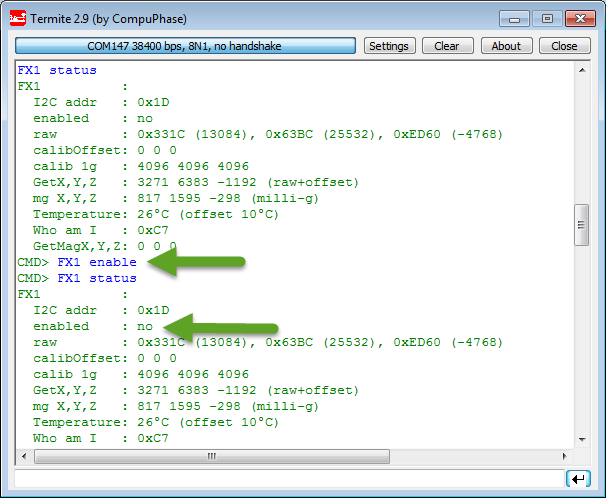 GenericI2C and GenericSWI2C have added support for custom I2C bus handling. 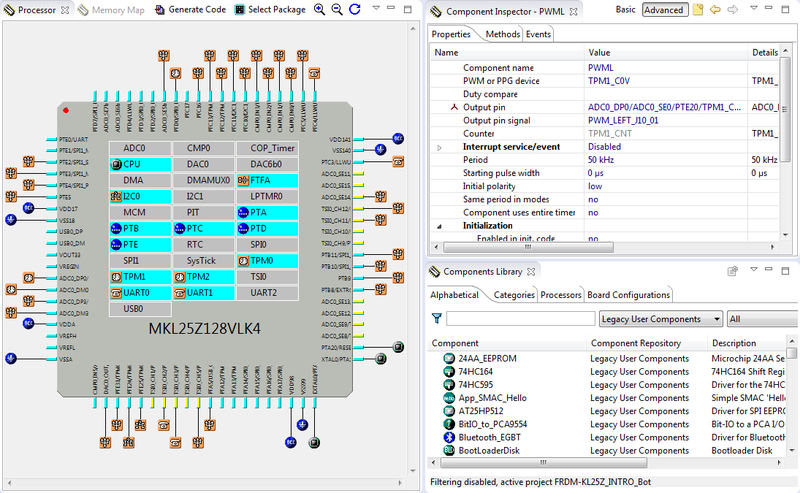 Processor Expert for Kinetis v3.0.0 (which is part of Freescale Kinetis Design Studio v3.0.0, KDS) has now the concept of ‘repositories’ for the components. 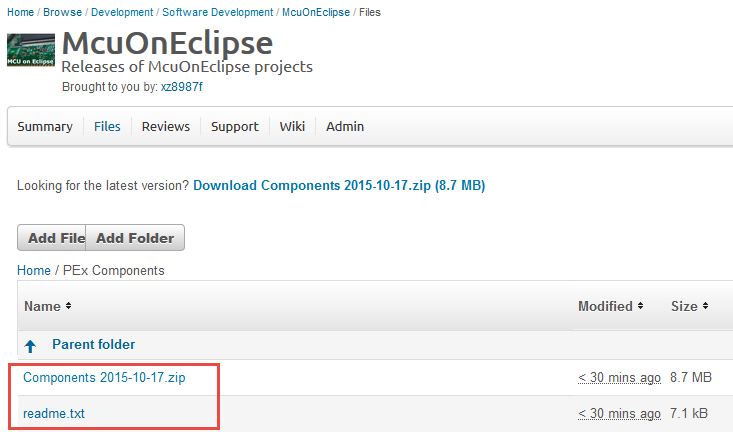 Over the last weeks, several contributions, extensions and fixes have been added to the McuOnEclipse components, so a new release is available on SourceForge. Better FreeRTOS task debugging with gdb. 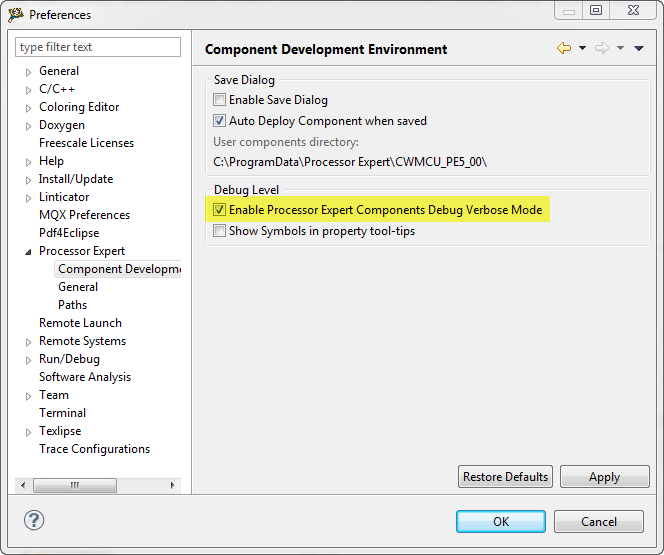 Better watchdog support with Shell component. New Utility function ScanDoubleQuotedString() to scan a double quoted string. LCDHTA with additional cursor functions. 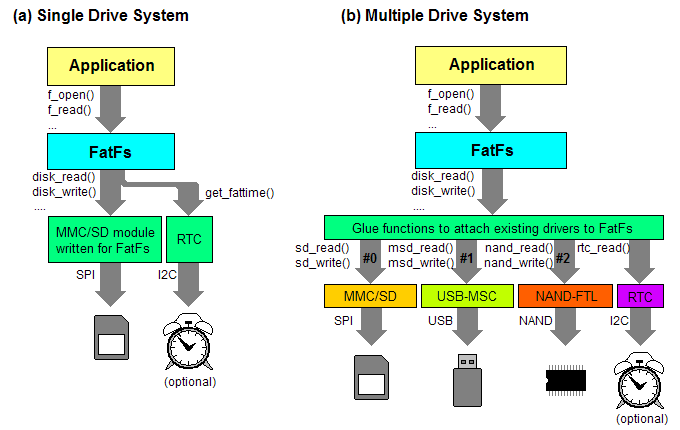 New devices supported in FSL_USB_Stack: K22FN1M (FRDM-K22F), KL24Z48M, USB host support for K22F120/K22FX512). 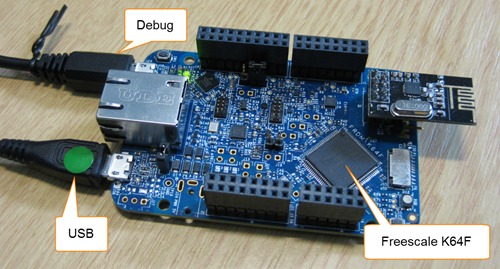 RNet with nRF24L01+ to deal better with overflow situations. 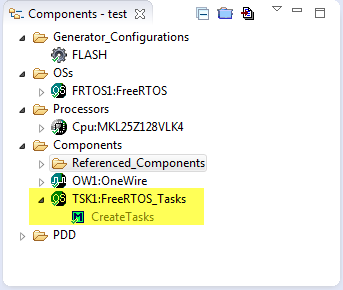 A new component FreeRTOS_Tasks to create FreeRTOS tasks. 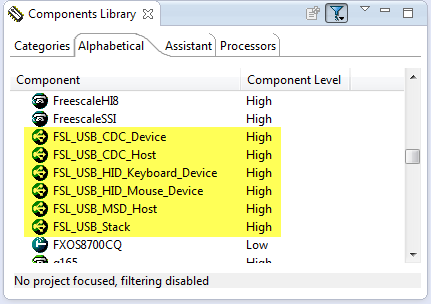 USB CDC with the FRDM-K64F, finally! Sometimes I think that a problem should be solvable in a few minutes, and then it turns out that it lingers around for months. Very, very frustrating! Such a thing is getting the USB 4.1.1 stack running on the FRDM-K64F board. 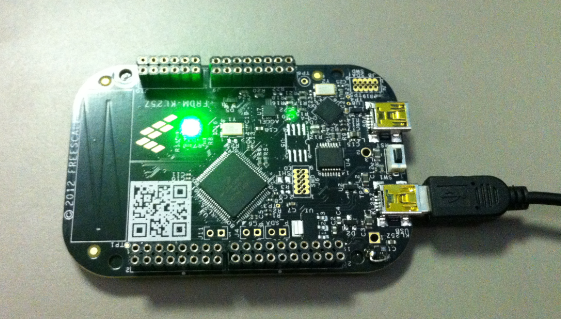 I have that board since April 2014, and it took me 7 months to get the FSL USB stack running on it :-(. When I started the McuOnEclipse project back in 2012, I did not expect that it would create that much of attention :-). So far I’m sharing the project files on GitHub (see “McuOnEclipse goes Git“). GitHub is excellent for sharing sources, but not a good way to share release (binary) files. It is somewhat ok for small/few files, and initially that worked well for the few Processor Expert files (see “Processor Expert Component *.PEupd Files on GitHub“). However, with the amount of components and binary releases, the GitHub repository gets bloated. 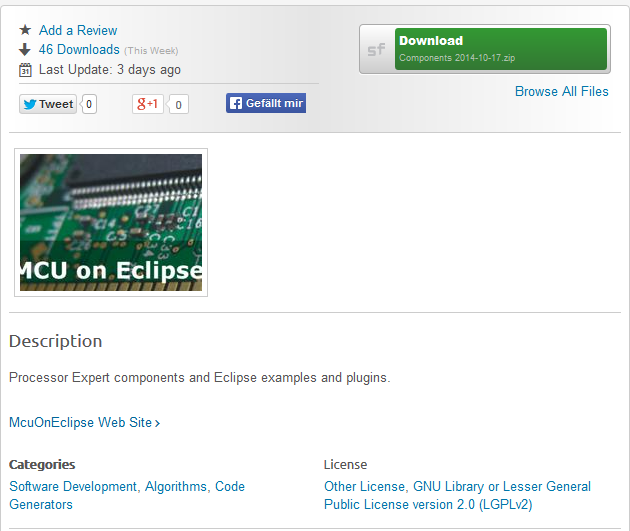 So I’m performing some maintenance work, and so I’m moving binary releases to a new McuOnEclipse SourceForge site. 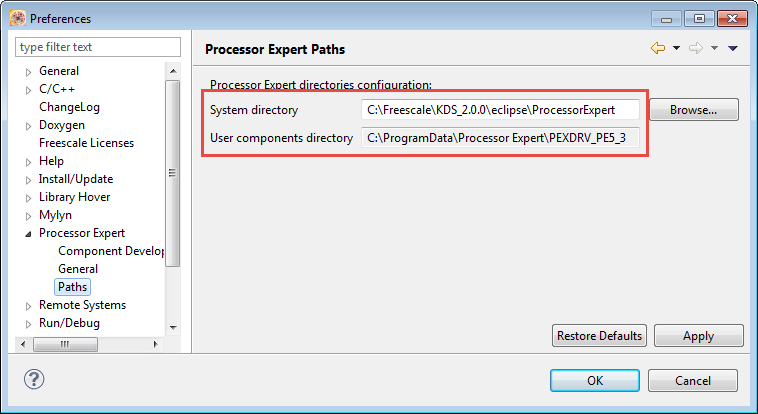 Sometimes I have a good idea how to extend one of my Processor Expert components with an extra feature, but then I step back because why implementing more than I need at the moment? Until another user of the component simply asks for the same thing, and here we go: if one or more can take advantage of a feature, that’s definitely a strong argument to add it :-). This happened with the RingBuffer Processor Expert component I’m using in many projects. And a reader of this blog asked to add some extra event methods: when an item is added or removed to the buffer. Standalone as Driver Suite 10.4 (e.g to be used with IAR or Keil). and in Kinetis Design Studio which just has been announced at FTF. I’m maintaining and hosting now more than 100 different Processor Expert components on GitHub. 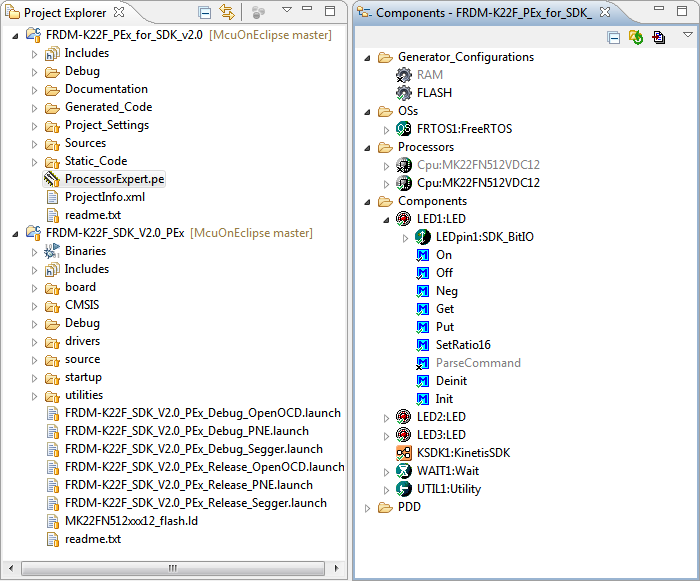 Instead to deal with CDE (Component Development Environment, that’s the SDK to create your own components), most users simply download and install the PEupd files. If you deal with normal source files, and if spot something you want (or need to change), then you can easily do this. But what if you want or need to change something in that code which comes with the PEupd file(s)? I finally completed my project turning the FRDM-KL25Z board into a USB mouse device :-). 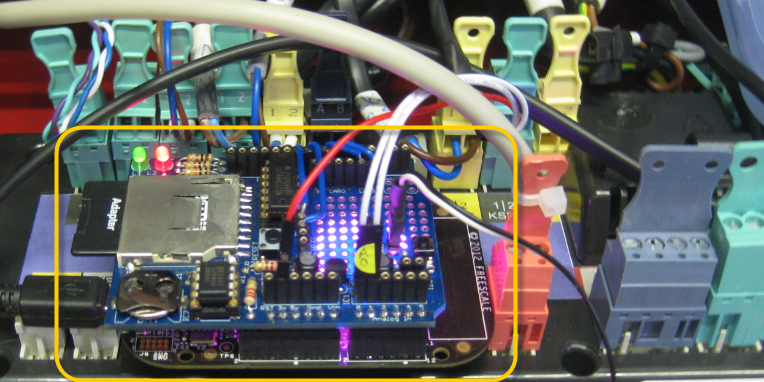 The form factor and the capabilities of the Freedom board makes it a great board for implementing it as a ‘custom mouse’. All what I need is the USB stack running on it and have it acting as USB HID Mouse device. Not everyone is familiar with Git, and not everyone wants to use it. Although I think using Git or SVN is something every software engineer today needs to master 😉 To make it easier for the ‘non-Gitter’ to use the Processor Expert components, they are available now as *.PEupd files as described here. However, the *.PEupd files are just a snapshot, and not the latest and greatest. So how to use the latest component sources and example projects without Git?